The weather is hotting up which means hello ice cream. 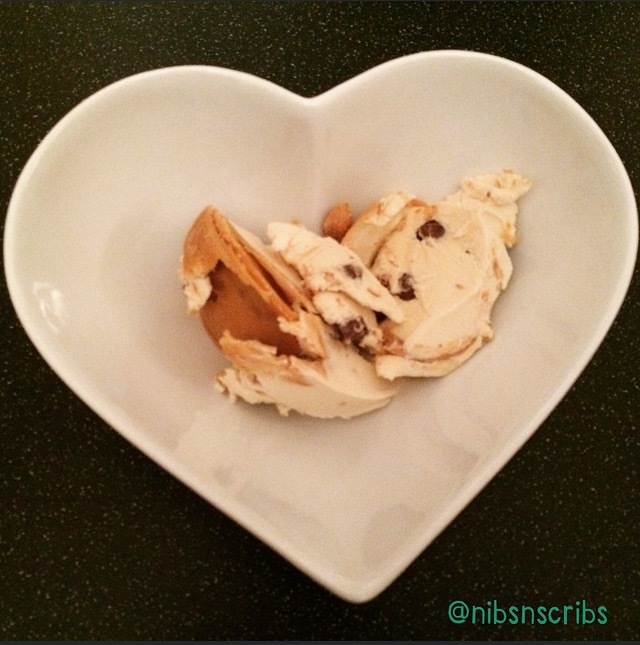 Previously I reviewed Ben & Jerry’s Utter Peanut Butter Cookie Core which I loved, but am keen to try a Supermarket own one; insert Sainsbury’s Salted Peanut and Caramel Ice Cream. Jazzy flavour combinations are now a firm part of Supermarket own brand ranges, but can they match or beat the big guns like Ben & Jerry’s or Haagen-Daz? 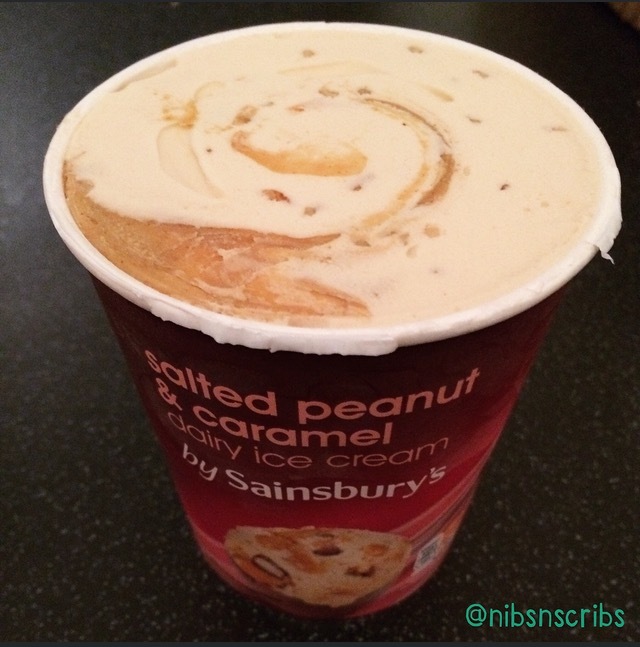 Sainsbury’s Salted Peanut and Caramel ice cream sits alongside their Chocolate Brownie, Cookie Dough and Toffee Honeycomb tubs, but what attracted me to try this? Peanut Butter of course! It’s great to see that the Supermarkets are utilising the peanut butter trend, and it’s one I hope that stays. This tub is jam packed with caramelised peanut pieces, chocolate coated salted peanuts, encased in caramel flavoured dairy ice cream that’s swirled with thick peanut butter. A sweet and salty heaven. Scoopability is tricky, but hey it all goes down the same way. At £2.50 for 500ml it’s not too pricey and is often on offer. 1/5 of the tub is 200kcal, 4.8g sat fat and 14.1g sugar, it won’t win any healthy diet awards, but it is lower than some of the counterparts. Every element is delicious. The ice cream is creamy without being sickly rich, the varying peanuts give it that crunch and texture it needs, and the peanut butter is divine, getting huge chunks in your bowl is like winning the peanut butter lottery. To be honest I would love to see more peanut butter. Where it is swirled into the ice cream, as you work through the tub there are large parts where you won’t get any at all, which is a real shame. All in all Sainsbury’s is definitely giving the big guys a run for their money. It’s a cheaper alternative, just as delicious and extremely moreish; I challenge you to make it last a week (it was impossible in our house). Great start to trying their ice cream tub range, and definitely looking forward to trying some of Sainsbury’s other combinations. What do you think of Supermarket’s ice cream efforts? What’s your favourite? Leave your comments below. I definitely want to try this now!